Lolly's famous burger in the shape of a hot dog. 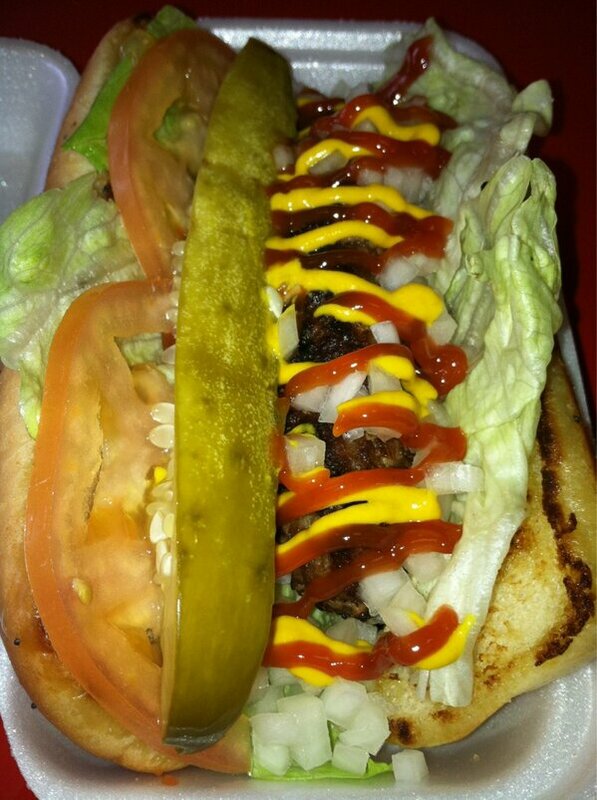 Topped w/ lettuce, tomato, raw onions, pickle, ketchup and yellow mustard. Served in our famous toasted poppy seed bun.